This year’s approximately 240 applicants from across the state were whittled down through three rounds of judging to the “Diligent Dozen.” Usually a group of the top 12 contestants, the finalists became 13 because of a tied score. 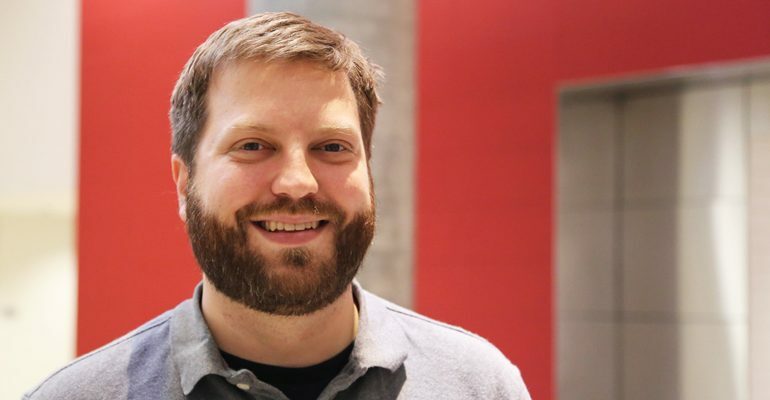 Adam Uselmann, a co-founder of OnLume and a member of the Morgridge Institute for Research’s medical engineering team, says the business plan competition was a great learning experience in many ways. OnLume is developing a system that uses transient lighting technology to improve the field of fluorescence image-guided surgery (FIGS). Uselmann pitched the technology at the 2015 Wisconsin Entrepreneur’s Conference during the “Diligent Dozen” presentations. “FIGS is a rapidly growing technique that has applications in numerous types of surgery, but the most compelling is cancer surgery,” says Uselmann. Using fluorescent dyes, cancer cells can literally light up and guide surgeons as they remove cancerous tissue. Typically a fluorescence-guided method requires a dark operating room, limiting what the surgeons and surgical staff can do during those periods. Alternating between periods of dark and light can be disruptive to work flow and requires an adjustment time of the surgeon’s eyes, as well as everyone else in the operating room. OnLume transient lighting technology enables surgeons to utilize fluorescence-guided methods without the darkening of the operating room. Transient lighting refers to light that imperceptibly flickers. It’s timed in such a way that the human brain registers a fully lit room, but light-sensitive equipment registers a dark room. The OnLume product itself is an integrated lighting and camera system, currently patent pending through the Wisconsin Alumni Research Foundation (WARF) by several of the co-inventors. Uselmann says the strengths of the OnLume team, a collaboration of both business and technological expertise, makes them uniquely positioned to bring the product to both national and international markets. Moving forward, OnLume will provide demo units to collaborators at the UW-Madison School of Veterinary Medicine who have agreed to beta test the device and provide user feedback for the development of the clinical system. Andreas Velten, a co-inventor of OnLume technology, assistant scientist in medical engineering at the Morgridge Institute for Research and the Laboratory for Optical and Computational Instrumentation (LOCI).